Welcome to District 12: District 4 Location Revealed! If you listen to the #HGFiresideChat frequently (If you dont, something is seriously wrong with you) you'll remember the episode in which we discussed The Hunger Games Adventures official map of Panem. We had theories on where District 4 might be located, and it turns out our prediction was correct! Pretty cool! 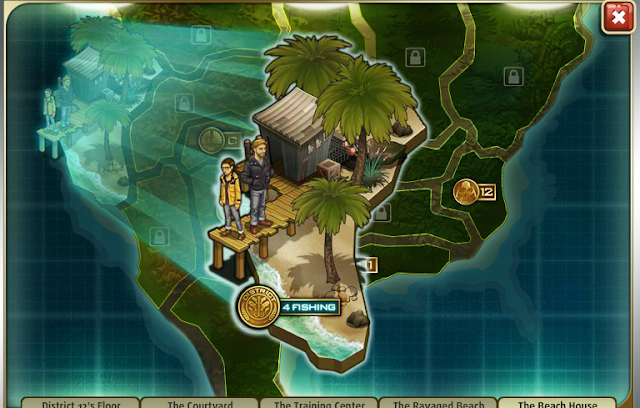 For those who don't know, Lionsgate has been releasing the official location of the districts through the Hunger Games Adventures facebook game. If you want to get in on the Hunger Games Adventures action, PLAY HERE! How to Enter Set Visit Sweepstakes from iPad! Katniss Cosplay at Comikaze Expo! The Hunger Games Adventures Available for iPad! COMMUNITY WILL SPOOF THE HUNGER GAMES! RUMOR: Suzanne Collins Spotted in Atlanta?! Catching Fire Shooting to Begin Next Week?